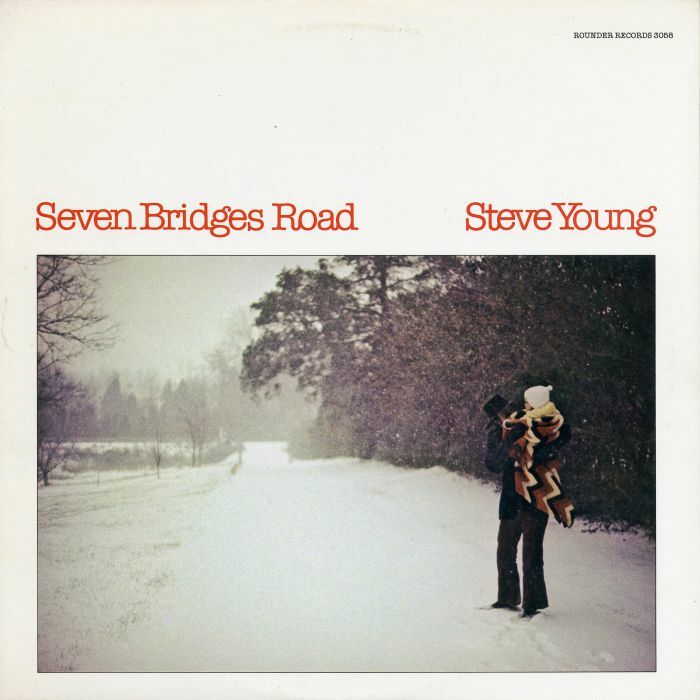 STEVE YOUNG-SEVEN BRIDGES ROAD: THE COMPLETE RECORDINGS. Over the last fifty years, there have been numerous examples of truly talented and gifted artists music whose music has been overlooked during their lifetime, This ranges from Nick Drake and Gram Parsons and to some extent, Tim Buckley. It’s only in death that their music started to received the attention and critical acclaim it so richly deserves. Sadly, that was also the case with Steve Young, who passed away just over a year ago, on ‘17th’ March 2016, aged just seventy-three. Sadly, very few people outside of a small coterie of musical connoisseurs were aware of Steve Young’s music. They knew one of Steve Young’s songs though. This was Seven Bridges Road, which had been covered by everyone from Rita Coolidge, Joan Baez and Dolly Parton to The Eagles, Ian Matthews. 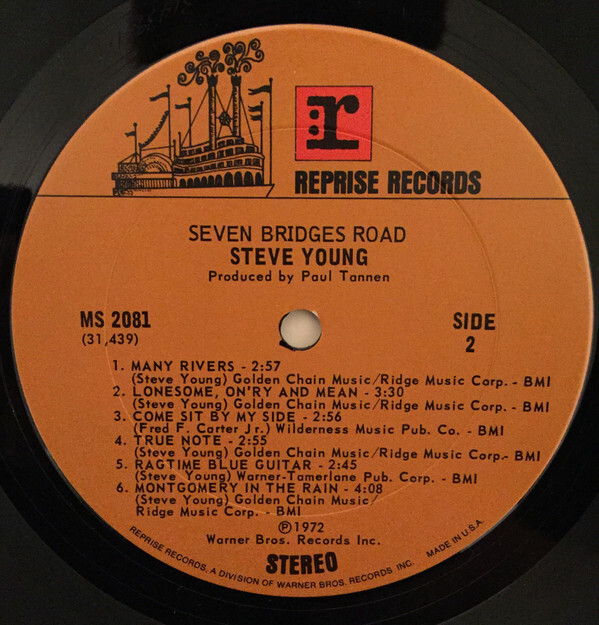 The royalties Steve Young received from other artists covering Seven Bridges Road, allowed Steve Young to live his life on his own terms. While that is something many people would welcome, deep down Steve Young must have felt disappointed that his music didn’t find a wider audience. Hopefully, that is about to change. 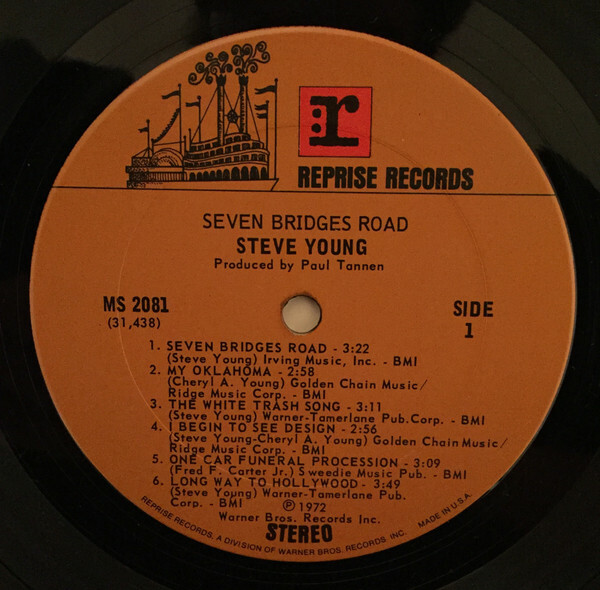 Fifteen months after his death, Ace Records have released Steve Young-Seven Bridges Road: The Complete Recordings which features twenty-one tracks. 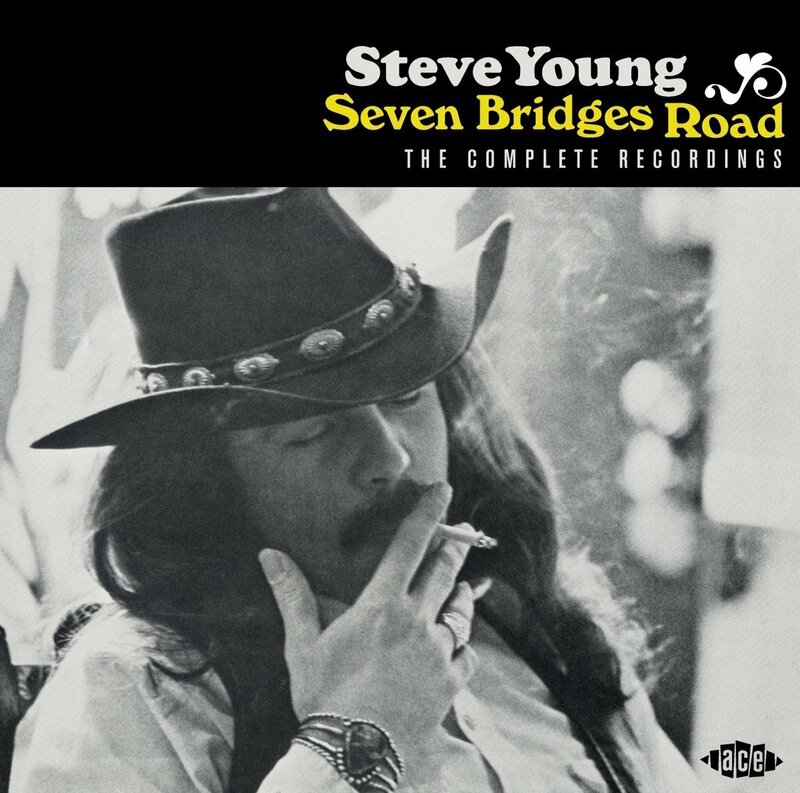 This includes Steve Young’s sophomore album Seven Bridges Road, plus nine bonus tracks. This is the perfect introduction to one of music’s best kept secrets. Steve Young was born in Newnan, Georgia on the ‘12th’ of July 1942, into a family of sharecroppers. His father who was a Native Indian, and had been a sharecropper since the age of thirteen. Life as a sharecropper was tough, and money was tight. To make matters worse, Steve’s father was often getting into trouble. As a result, the family were often on the move. Eventually, they settled in Gadsden, Alabama. By then, Steve knew how he wanted to make a living. Ever since he had been a young boy, Steve had listened to music, and it made life that bit more bearable. He could see the beauty in music, especially, the Southern music, which Steve listened to. However, from an early age, Steve Young wasn’t content to listen to music. When people asked him what he wanted to do, he told them he wanted to be a singer, songwriter and musicians. To most people, this was a pipe dream. Things changed when Steve’s grandfather took him to a swap meet, where he saw a warp necked Silvertone guitar. It was love at first sight. Steve tried to talk his grandfather into getting him the guitar. However, the answer was no, and a disappointed Steve returned home. Still, he was determined to get a guitar of his own, and when he was fourteen, his mother relented and agreed to buy Steve his first guitar. She bought Steve a Gibson ES 125 thin body electric guitar. This was enough to make his dreams come true, and he hoped, follow in the footsteps of Carl Perkins and Elvis Presley at Sun Records. By the time Steve had mastered his guitar, the folk boom had hit Birmingham, Alabama. Despite his love of Southern music, Steve started playing folk music. By his early twenties, Steve was a regular face on Birmingham music scene, and was regarded as one of the city’s rising stars. During gigs he played a mixture of his own songs and covers of Bob Dylan songs. Sometimes, he took to the mic and started voicing his support for the nascent civil rights movement. While this was admirable, such talk was dangerous in Birmingham, Alabama, which was Klan country. Some folks around Birmingham, Alabama didn’t take kindly to folk singers talking about equality and civil rights. Especially, ones like Steve, who after gigs, headed out on the town and enjoyed carousing. Sometimes, this lead to trouble, but Steve didn’t seem to care. He was determined to live life on his own terms. This included voicing his support for the civil rights movement. Fortunately, he never came to any harm, and in 1963, left Birmingham, Alabama. This came about after Steve met Richard Lockmiller and Jim Miller, who were both folk musicians. They had signed to Capitol Records as a folk duo Richard and Jim, and were heading to Los Angeles to record their debut album. Steve joined the pair on their road trip, and in LA, played on Richard and Jim’s 1963 debut album Folk Songs and Other Songs. Steve’s guitar playing on Folk Songs and Other Songs, brought him to the attention of other musicians. It was a similar case when Richard and Jim played live, Steve’s playing brought him to the attention of other musicians and record buyers. One of the first musicians to discover Steve Young was Van Dyke Parks. From the first time he saw Steve play live, he realised that he was a cut above most musicians. Here was a versatile and talented singer and guitarist who seamlessly could switch between disparate musical genres. His live act saw Steve playing folk, blues and even a hint of Celtic music. The audience was enthralled by Steve’s vocal and virtuoso performance on guitar. Despite this, Steve spent time busking on Sunset Strip. This was only temporary. Soon, Steve was about to go up in the world when he joined the ranks of LA’s session musicians. He also became the lead guitarist for the Steve Battin Band. After shows, Steve partied with some of the biggest names in the LA scene, including Mama Cass, Tim Hardin and Van Dyke Parks. At these parties, Steve partied hard, drinking and taking drugs in ever-increasing greater qualities. Still, though, Steve turning up for sessions the next day and even formed a new band with two well-known names. The Gas Company included Van Dyke Parks and a young Stephen Stills, who played rhythm guitar. However, The Gas Company was just a stepping stone for Stephen Stills en route to greater things. Meanwhile, Steve’s life was professional and personal life was changing. He met and married Terry Newkirk, who with Roger Tillison performed as The Gypsy Trips. Now a married man, Steve decided to take a job as a postman to make ends meet. However, he hadn’t given up on his dream. It was only a matter of time before Steve caught a break, and was approached by Stone Country’s manager. They were looking for a guitarist, and Steve fitted the bill. He played on their debut album. Not long after this, Steve’s dream came true when he was signed by A&M. This was the break he had been waiting for, and the twenty-six year old began work with producer Tommy LiPuma. Backed by a band that featured some top LA session players, plus Gram Parsons and Gene Clark. Gradually, Rock, Salt and Nails took shape, and was released in 1969. Sadly, the album passed an indifferent record buying public by. They had overlooked what’s now regarded as one of the hidden gems of the late-sixties, Rock, Salt and Nails. After the commercial failure of Rock, Salt and Nails, Steve did a lot of soul-searching, and with a heavy heart announced that he was turning his back on music. This was something that he had never envisaged would happen. However, there was only so long anyone could struggle to make ends meet, with the hope that one day, he might make a breakthrough. Steve decided to make a fresh start and he and his wife left LA, and headed to San Francisco, where they settled in the Bay Area. This was a new start for Steve, and was the first day of his life after music. However, by then, all Steve knew was music. 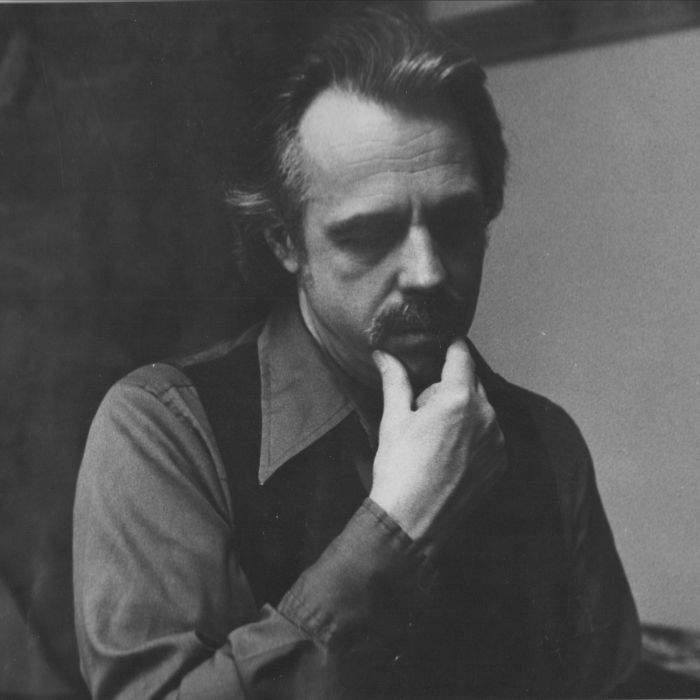 He and Terry Newkirk setup a guitar shop in San Anselmo in 1970. It was the new start Steve had been looking for. That was until Andy Wickham of Reprise Records came calling. When Steve turned his back on music, he was still under contract to A&M. Andy Wickham who had followed Steve’s career approached A&M to ask if they would be willing to release him from the contract. They agreed, and now all Andy Wickham had to do was convince Steve to sign on the dotted line. Given Steve was disillusioned with life as a professional musician, this was going to be easier said than done. Especially with the new guitar shop up and running. However, for Andy Wickham it was a case of nothing ventured, nothing gained. He approached Steve about signing to Reprise, and eventually, he agreed to make a comeback. Once Steve had signed to Reprise, he was paired with Ry Cooder, who would produce his first single for the label. The song chosen for the single was Bob Dylan’s Down In The Flood, which was retitled as Crash On the Levee. On the B-Side was The White Trash Song. 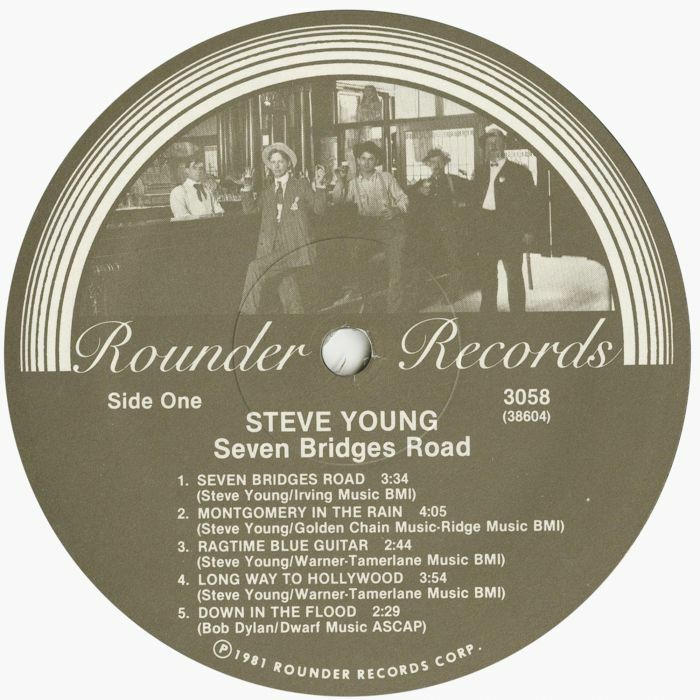 They’re among the nine bonus tracks on Steve Young-Seven Bridges Road: The Complete Recordings. Once the single was recorded, it was released in 1970. Despite featuring a barnstorming performance from Steve Young, and a guest appearance from guitarist Ry Cooder, the single failed to trouble the charts. History was repeating itself. After the failure of Crash On the Levee, a decision was made to pair Steve with a new producer. After just one single, the Steve Young and Ry Cooder partnership was over. Replacing Ry Cooder was Nashville based Paul Tannen. This was a strange decision, given Nashville in 1970 was, and to some extent, still is, a conservative town. Steve Young with liberal politics, wasn’t going to be well received in some quarters. That proved to be the case. Steve Young journeyed to Nashville, to meet his new producer and record his sophomore album. He was aware that Paul Tannen had penned twenty songs and had around forty production credits to his name. This experience Steve hoped would be put to good use when he recorded his sophomore album. However, Steve was in for a surprise. When Steve met Paul Tannen, he quickly came to the conclusion that his new producer was more of interested in music publishing than songwriting. This didn’t bode well for the future. However, Nashville had some of the best session musicians in America, and Steve hoped some of them would join him in the studio. Before recording got underway, Steve was joined by Paul Tannen and some top session players. When they ran through the songs, some of the musicians took umbrage to the lyrics. To make matters worse, Steve’s liberal politics and outlook on life didn’t going down well with some of the band. As the session got underway, it soon became apparent that the band weren’t all on the same page. Some of the musicians couldn’t understand how to play the songs. It wasn’t the type of music they were used to playing. By then, the decision to record in Nashville and the choice of Paul Tannen as producer wasn’t looking like the right one. Steve later, would claim that he ended up producing what later became Seven Bridges Road himself. However, it wasn’t an easy album to record. For parts of the session, there was an undercurrent and a degree of tension. Partly, this was because of the difficulties had understanding how to play their parts, but also because some members of some the band and Steve Young were polar opposites. Steve was a sixties child with liberal politics and views, while the band were older, and much more conservative. With his long hair, and liberal views, some of the band most likely saw Steve as a hippy from California. He saw some of the band as rednecks, and the type of people who he had spent his life avoiding. It was the case of never the two shall meet. However, in Nashville session musicians were professionals, and the album was eventually recorded. Steve hotfooted it home to San Francisco. When Steve Young arrived home, he brought with him what would eventually become Seven Bridges Road. He took the tapes which featured twelve songs to Andy Wickham at Reprise. They listened to the tapes, and before long, everyone in the room realised that despite the difficulties Steve had experienced recording Seven Bridges Road, it was a very special album. That was the case from the opening song, Seven Bridges Road, which is a beautiful, haunting paean to Terry Newkirk who Steve had to leave behind in San Francisco when he travelled to Nashville to record the album. Steve who was obviously homesick and missing his wife, lays bare his soul, and sets the bar high for the rest of the album. During parts of Seven Bridges Road, Steve is like an actor in a series of plays. My Oklahoma is a cinematic sounding country ballad, where, Steve delivers a worldweary and wistful vocal, as he remembers and misses the place he grew up, and left behind. The White Trash Song was recut in Nashville, is transformed, taking on new life, as Steve lives the lyrics and delivers a defiant and hurt-filled vocal about the wife that left him. I Begin to See Design is another tale of love lost, where a weeping guitar and bluesy harmonica accompany and empathise with a heartbroken Steve. Despite its title, One Car Funeral Procession isn’t short of hooks, as country and folk collide while Steve showcases his skills as a singer and songwriter. That’s apparent on Long Way to Hollywood, anther powerful, cinematic song where backing by some of Nashville’s finest musicians and backing vocalists, Steve’s new Southern country sound continues to take shape. By the end of what side one of the original album, Steve hadn’t blotted his copybook. One great song followed hard on the heels on another. The ballad Many Rivers, has a much more traditional country sound, and would’ve won the approval of the more conservative members of Steve band. It’s a timeless song that could’ve only been recorded in Nashville. Lonesome On’ry and Mean is a soulful ballad, where Steve’s new Southern country sound continues to emerge. It finds Steve, the original outlaw wearing his heart on his sleeve, while backing vocalists add to the soul. They return on Come Sit By My Side, adding cooing harmonies on this dramatic, poignant and ruminative song. After that, it’s all change. True Note finds Steve returning a to a much more traditional country sound. Then on Ragtime Blue Guitar Steve showcases his versatility and sings the blues. There’s almost defiance in his voice, as Steve rerecording in Nashville sings: “I’ve a right to sing these blues.” Fittingly, Steve celebrates one of the spirit of a true giant of country music, Hank Williams on closes Montgomery, which In The Rain. By then, Steve’s new Southern country sound was fully formed. While everyone at Reprise Records realised that they had heard a very special album, they had no idea how to market the album. Seven Bridges Road was very different from the country music that was being released at that time. Reprise Records were faced with the same problems as A&M when realising Steve Young’s debut album, what to do with it? The problem was, the album was way ahead of its time. Steve Young was a musical visionary who was the architect of a new Southern country sound. This was a forerunner of the outlaw sound, which Waylon Jennings and Willie Nelson later went on to pioneer. Sadly, very few record buyers would know of the part Steve Young played in musical history. On its release in 1972, Seven Bridges Road failed to find an audience, and before long the album couldn’t be found record shop shelves. Steve who watched his dream destroyed for the second time, for the second time, turned his back and music. He and Terry Newkirk sold their guitar shop and bought some land in Nashville. They built a log cabin and raised their son Jubal. The couple went on what Steve later called: “your basic vegetarian-mystical trip.” This lasted for a while, until Steve started drinking heavily. That was when Terry Newkirk packed her bags and left. Quickly, Steve’s life was unravelling. That was until Jim Terr entered the picture. Jim Terr owned Blue Canyon Records, and thought that Seven Bridges Road was the best record ever committed to vinyl. When Steve told him the album wasn’t even in circulation, the pair started hatching a plan. The first part of the plan was to get Steve playing live again. He started playing around Albuquerque and then rerecorded The White Trash Song with The Last Mile Ramblers. After that, Jim Terr discussed with Steve buying the master to Seven Bridges Road from Warners, with a view to reissuing the album. Jim Terr hit Warners with a lowball offer, and they accepted. Before reissuing Seven Bridges Road, two changes to the track-listing were made. The newly rerecorded version of The White Trash Song replacing the Nashville version. A cover of Merle Haggard’s I Can’t Hold Myself In Line replaced One Car Funeral Procession. 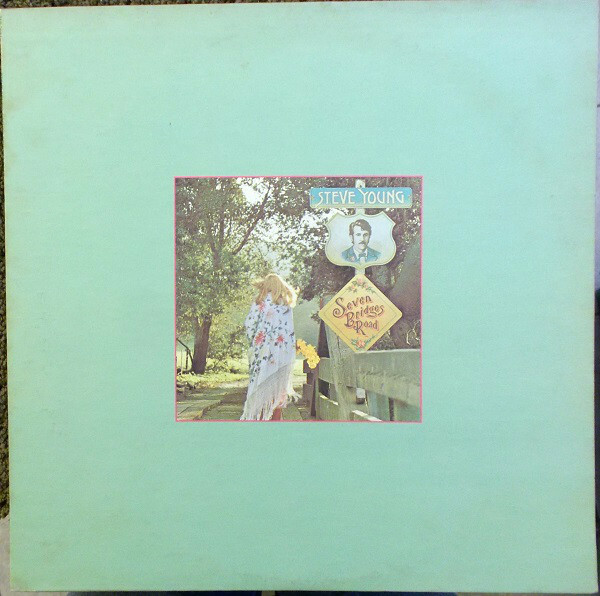 Both of these songs that featured on Blue Canyon Records’ 1973 reissue of Seven Bridges Road also feature on Seven Bridges Road: The Complete Recordings. 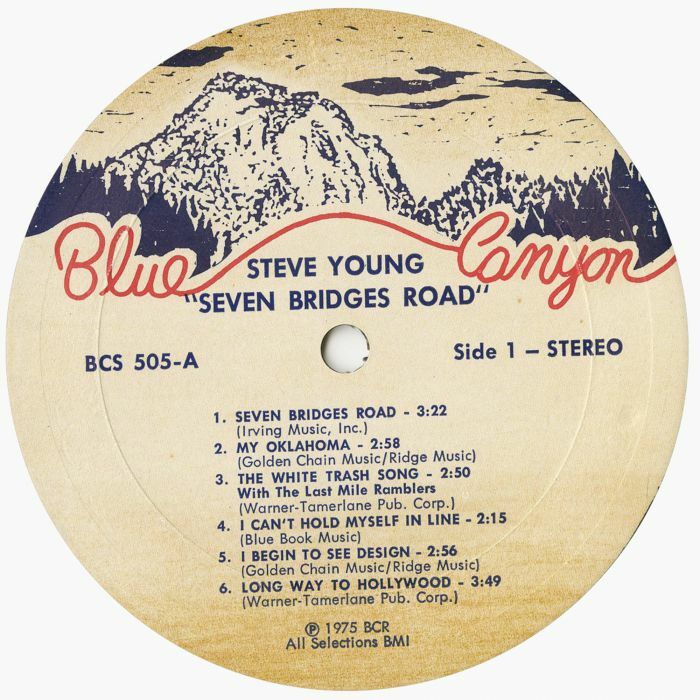 However, although Blue Canyon Records was a small company, that didn’t have a distribution network like Warners, the reissue of Seven Bridges Road introduced Steve Young to more record buyers. Still, though, he was one of music’s best kept secrets. Sadly, that continued to be the case with Steve Young’s next three albums finding a limited audience. His third album was Honky-Tonk Man, which was released on Mountain Railroad Records in 1975. Despite its quality, again, the album failed to find the wider audience it deserved. Despite that, the following year, RCA Victor took a chance on Steve Young, and the original outlaw released Renegade Picker in 1976. It was the same old story, with the Renegade Picker showcasing a talented singer, songwriter and musician, whose music was enjoyed by a small coterie of discerning record buyers. There was no improvement in record sales after No Place To Fall in 1978, and RCA and Steve Young parted company. After that, Steve Young’s spiralled out of control. He seems hellbent on destruction, and nearly drank himself to death. Eventually, he entered a clinic for homeless alcoholics in Nashville. It was during his stay in the clinic, that Steve realised that his lifestyle had come close to destroying him. He made the decision to embrace his Native Indian heritage and became a Buddhist. His new approach to life worked, and Steve managed to rebuild his life. It took time but paid off. It wasn’t until 1981 that Steve Young returned with a new album. It was a remixed version of Seven Bridges Road, with a different track-listing. There’s a remixed version Seven Bridges Road plus new songs like Down in the Flood, Ballad of William Sycamore, My Oklahoma, Wild Goose and Days Of 49. 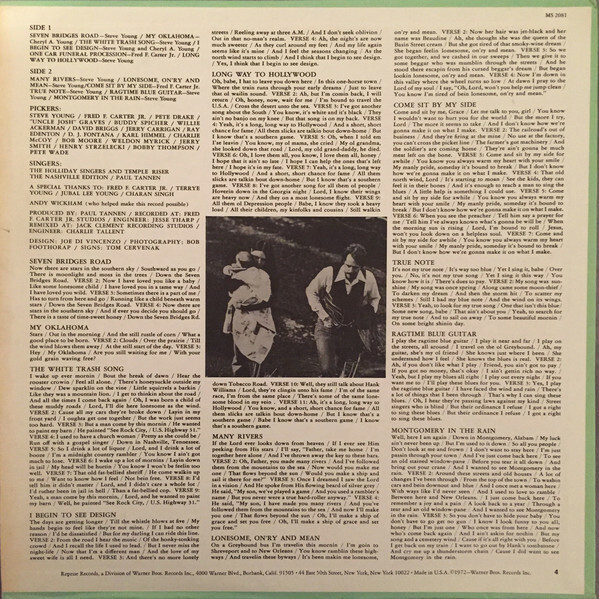 The reissue of Seven Bridges Road meant that the album was available for a new generation of record buyers to discover. By then, Steve Young had released another new album To Satisfy You, which was released on Mill Records in 1981. This marked the next start in the reinvention of Steve Young. Another five years passed before Steve returned with a much more experimental album, while Look Homeward Angel in 1986 which showcased a much more contemporary sound. That was the last album Steve released during the eighties. He returned in 1990 with Long Time Rider, with Switchblades Of Love following three years later in 1993. Still, interest in Steve’s music and his landmark album Seven Bridges Road continued to grow. Despite that, Steve didn’t release another album until Primal Young in 1999. The sixty year old had released his best album in recent. However, after that albums continued to be sporadic. It wasn’t until 2005 that Steve released Songlines Revisited Volume One, where he revisited many of his best known songs. The White Trash Song, Montgomery In The Rain, Rock Salt and Nails and of course Seven Bridges Road were all rerecorded. Steve sold the album at his gigs when he played live. Two years later in 2007, Steve Young released the live album Stories Round The Horseshoe Bend. Sadly, it was his swan-song. Although Steve Young continued to play until 2010, he never released another album. That was despite having around a 100 songs that he had yet to record. Sadly hey never saw the light of day, because on the ‘17th’ March 2016, aged just seventy-three, Steve Young passed away. That day, music lost one of its most talented sons. His greatest album is Seven Bridges Road a cult classic, that is celebrated on Seven Bridges Road: The Complete Recordings, which was recently released by Ace Records. It features the original and best version of Seven Bridges Road, plus nine bonus tracks. 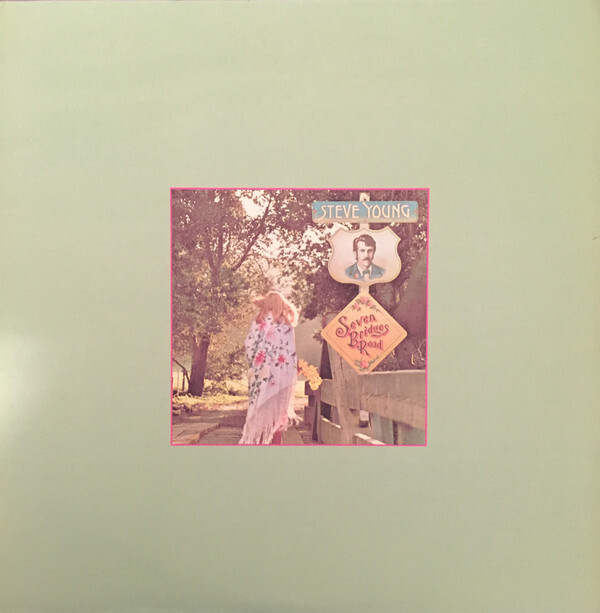 Seven Bridges Road: The Complete Recordings is the perfect introduction to Steve Young, a pioneer, musical outlaw and one on of the finest purveyors what Gram Parson called Cosmic American Music. Steve Young is also one of music’s best kept secrets, but hopefully, not for much longer.